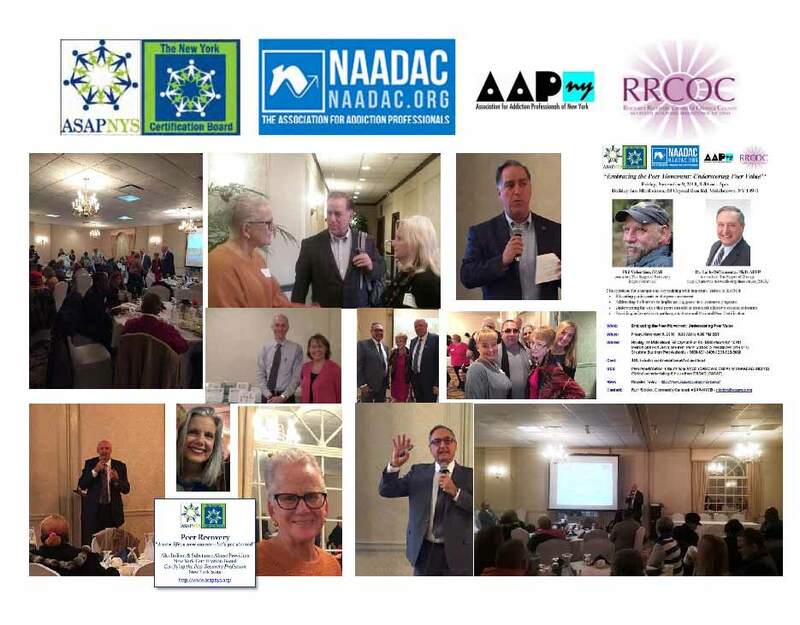 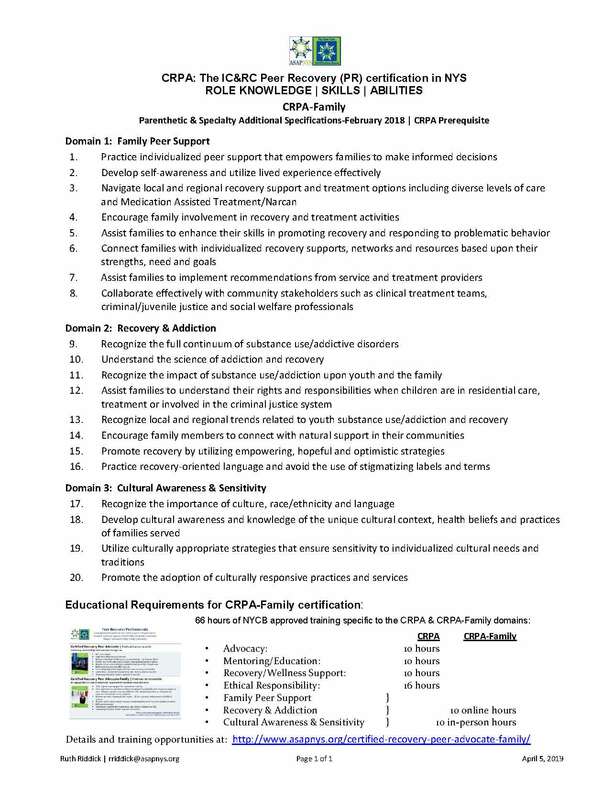 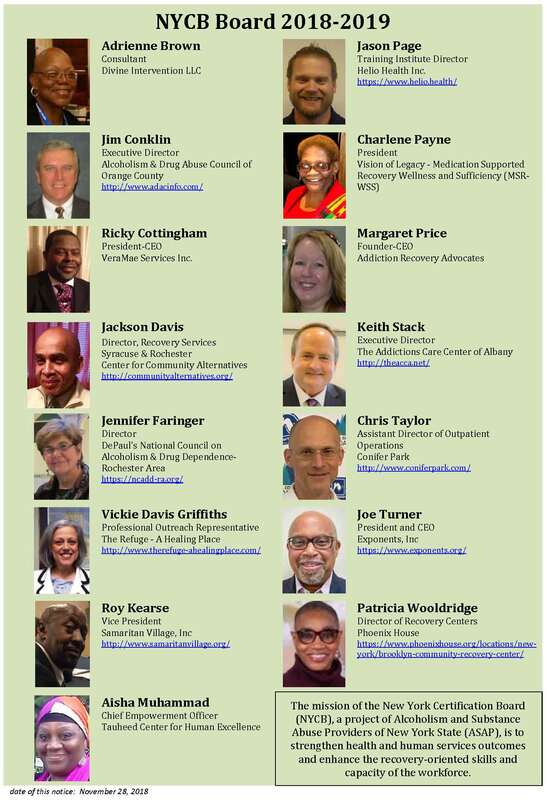 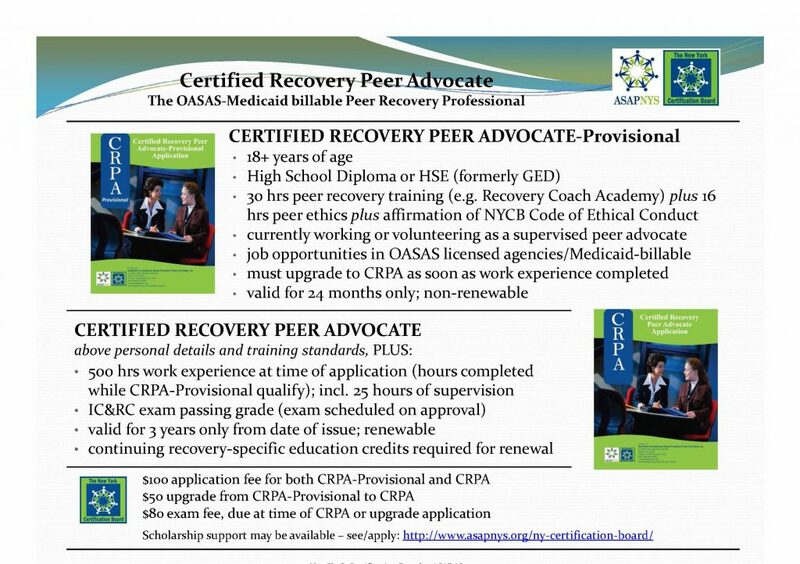 New Scholarship Funding Available for Certified Recovery Peer Advocates! 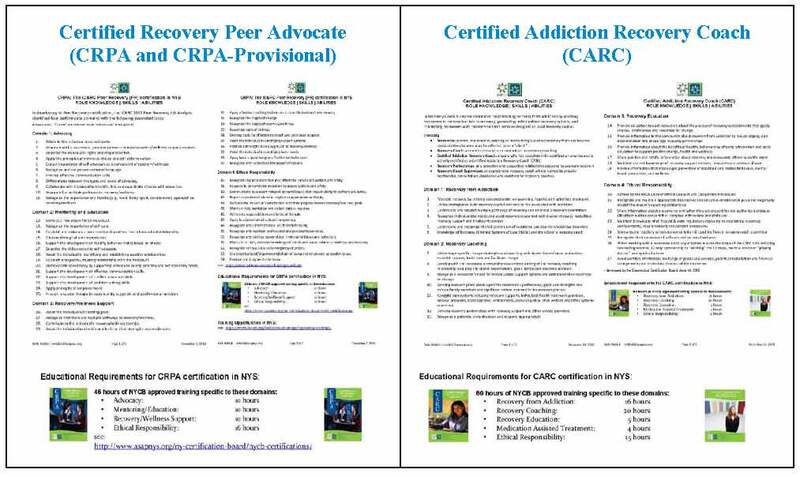 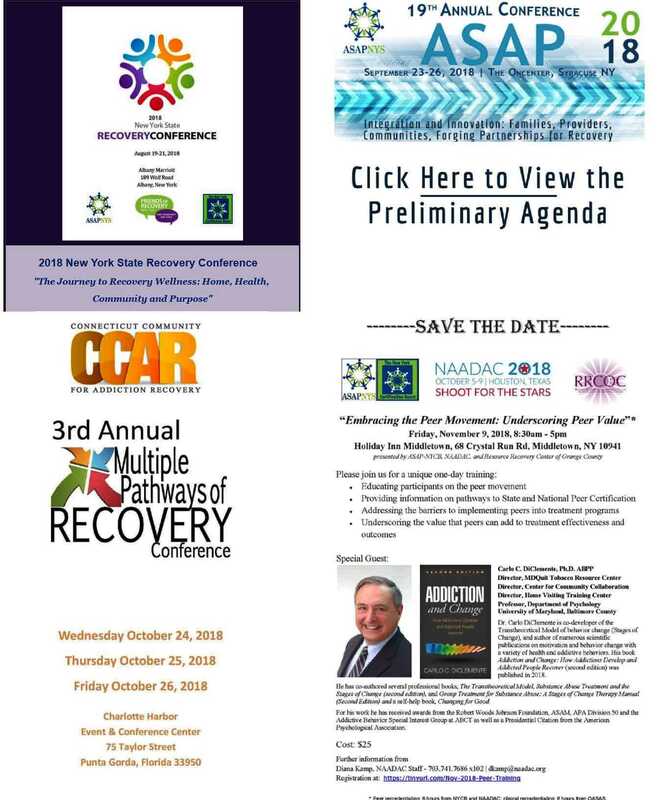 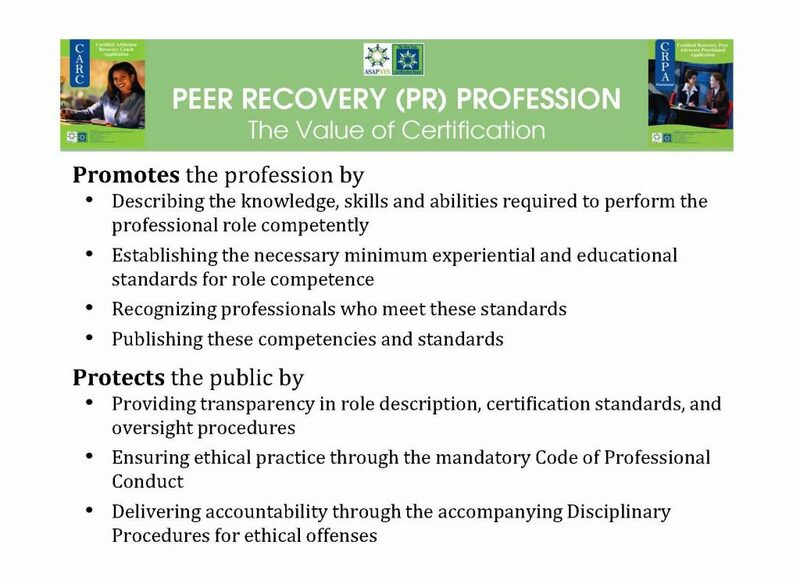 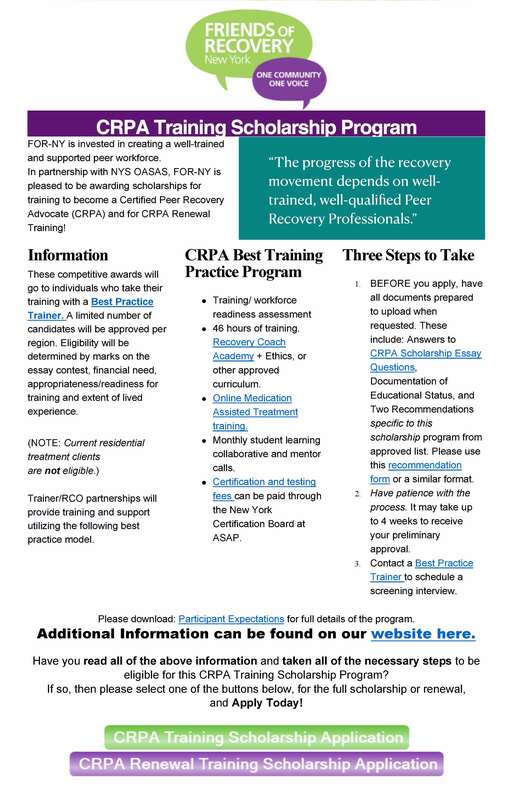 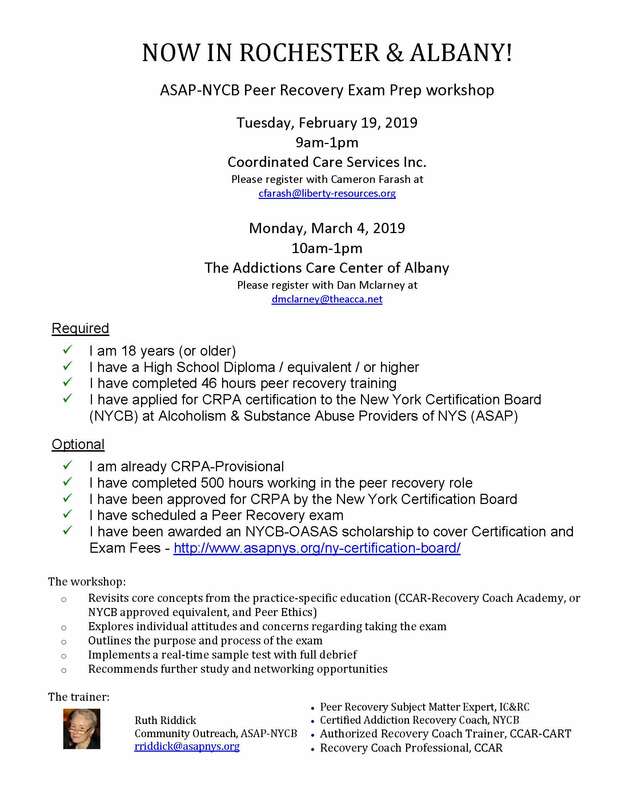 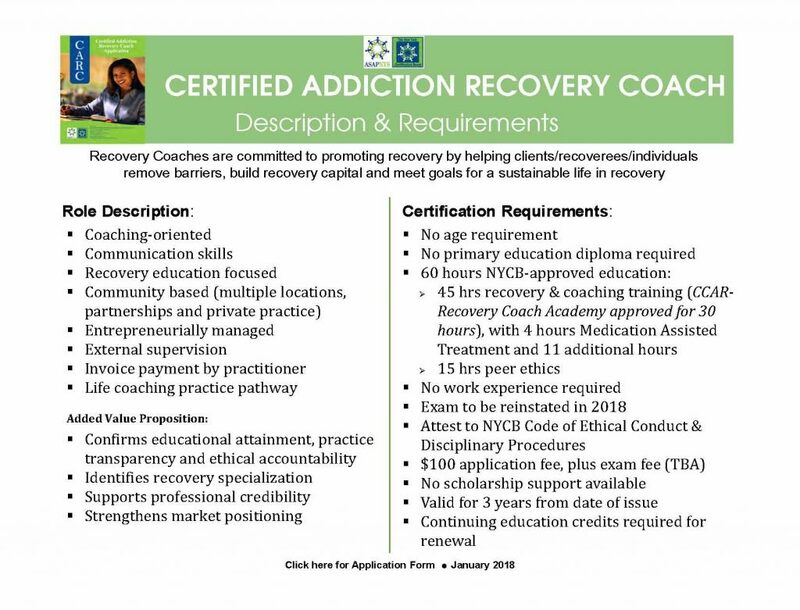 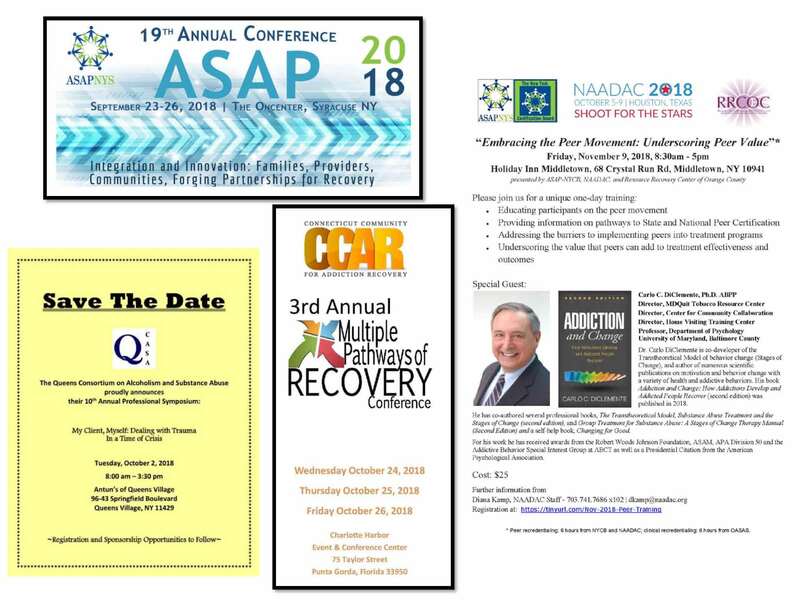 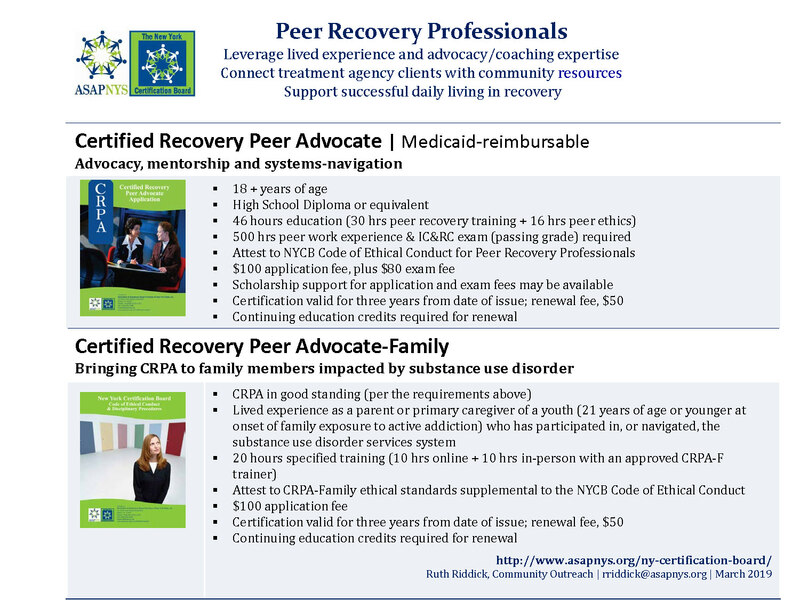 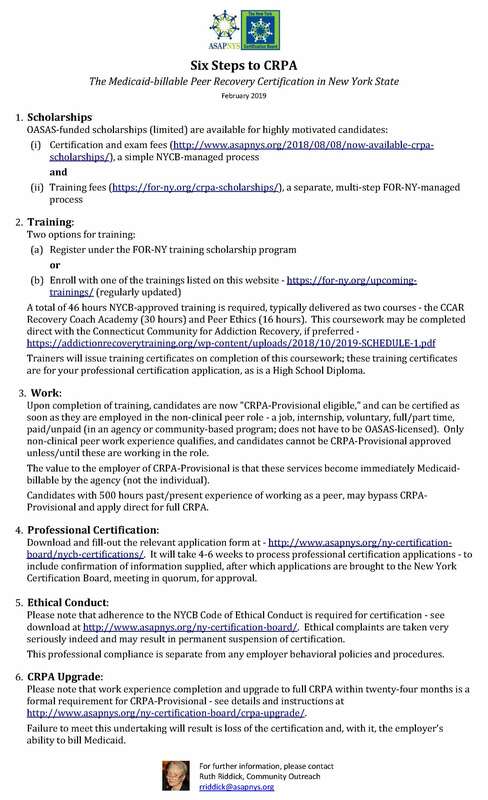 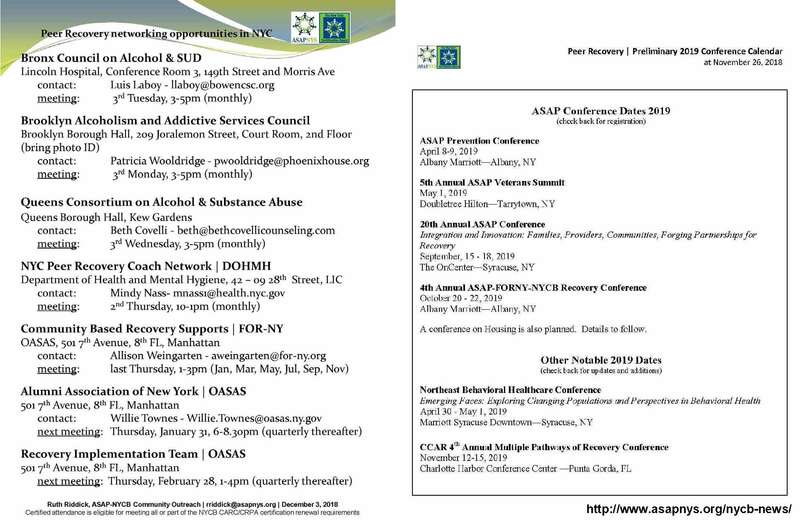 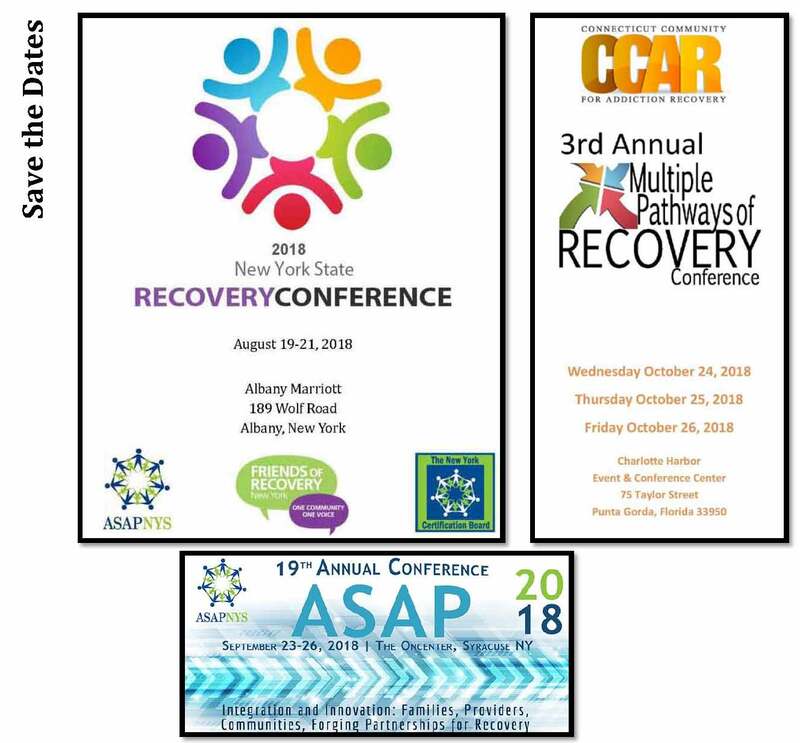 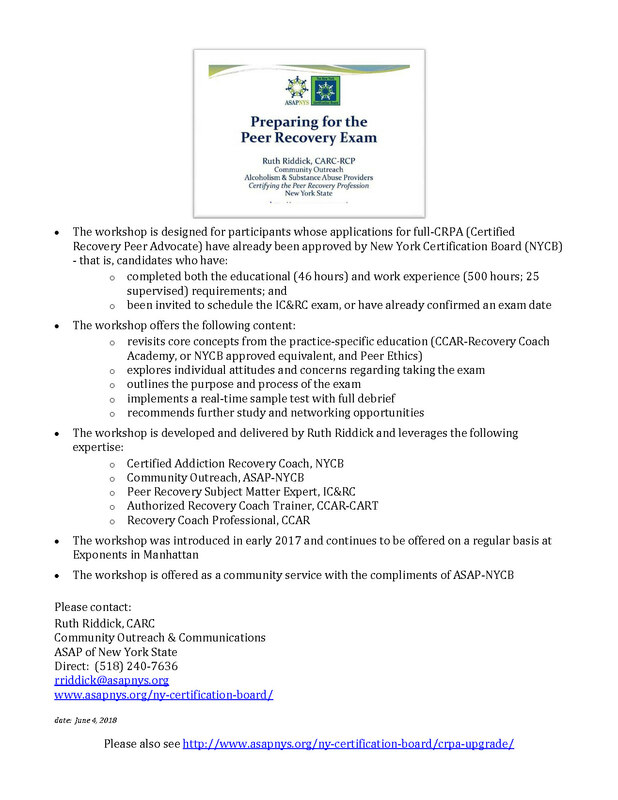 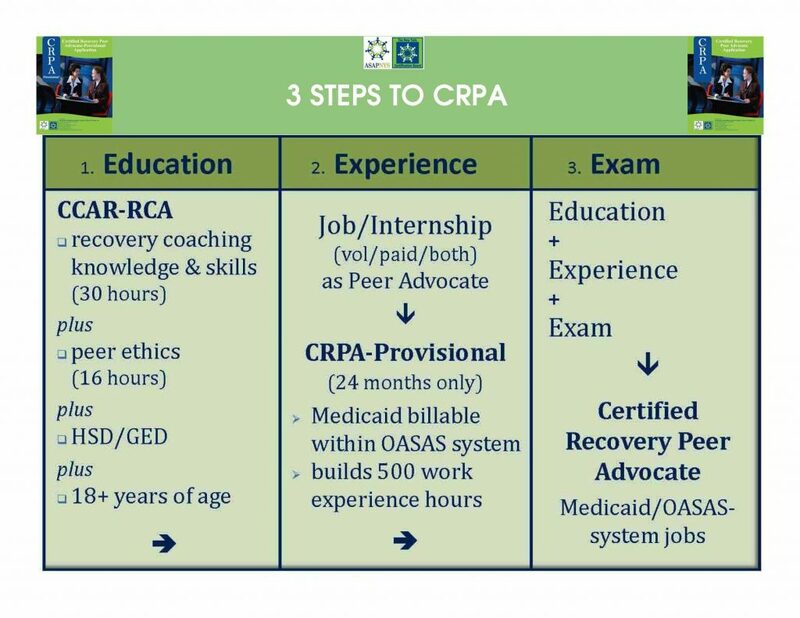 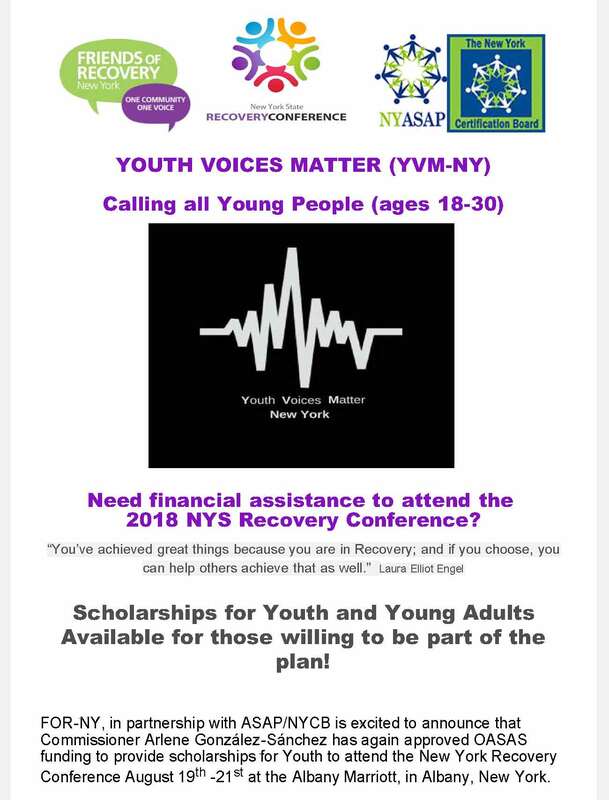 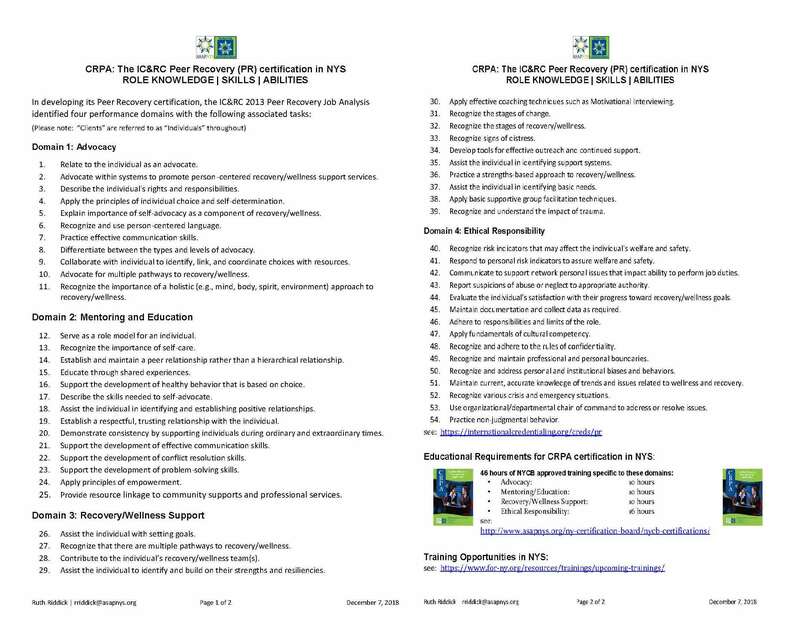 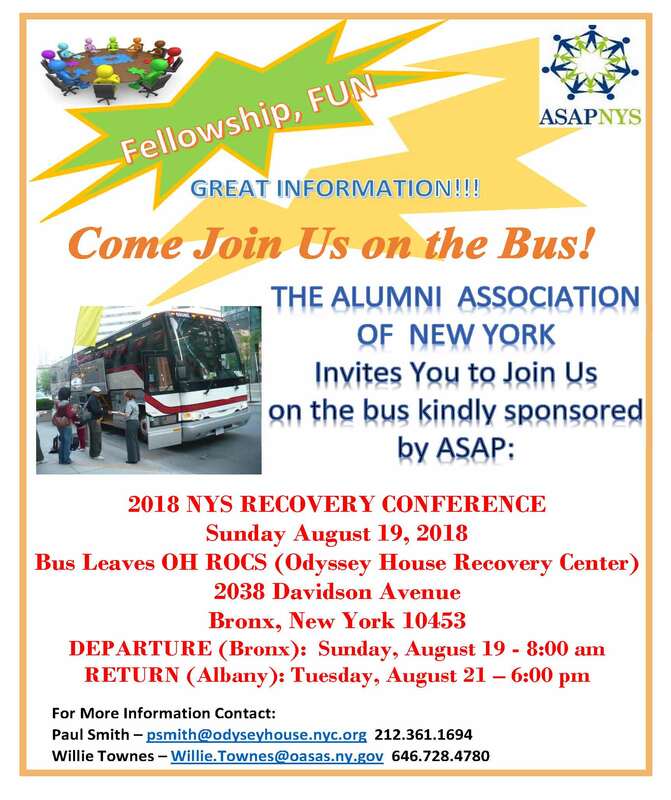 Alcoholism and Substance Abuse Providers of New York State (ASAP) and the New York Certification Board (NYCB) are pleased to offer OASAS-funded scholarships that can be used to cover the cost of application and exam fees for candidates wanting to become a Certified Recovery Peer Advocate (CRPA) or a Certified Recovery Peer Advocate-Provisional (CRPA-P). 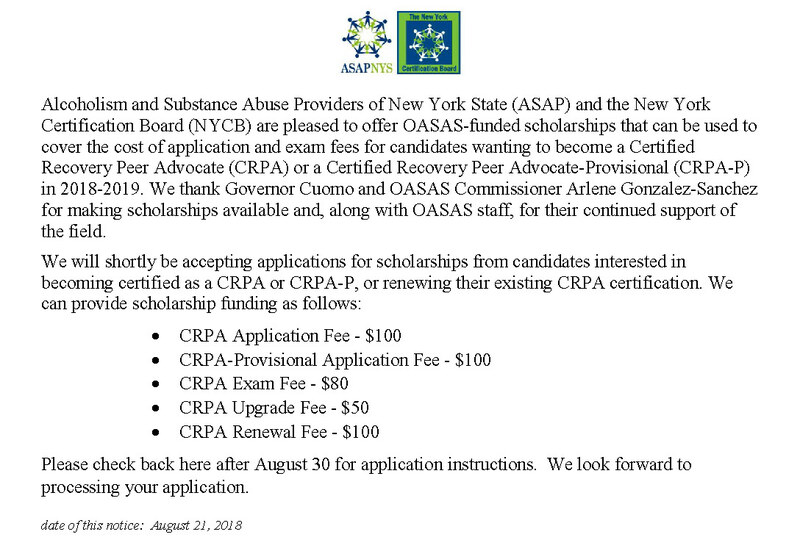 We thank Governor Cuomo and OASAS Commissioner Arlene Gonzalez-Sanchez for making scholarships available and, along with OASAS staff, for their continued support of the field. 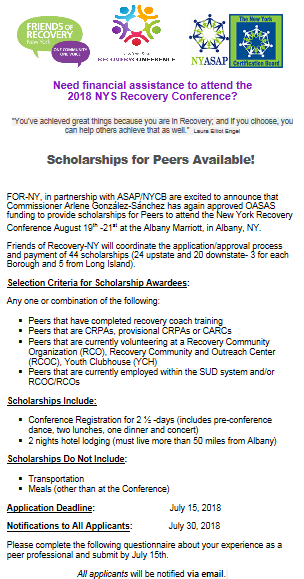 Click here to submit your scholarship application.